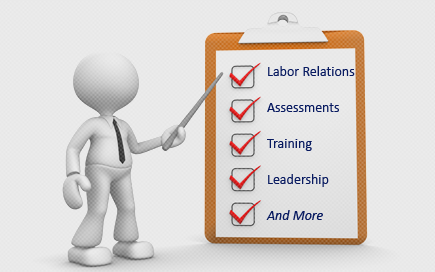 Labor Relations News Update January 31, 2014 | Oliver Bell, Inc. In a unanimous ruling, the U.S. Supreme Court has clarified the meaning of “changing clothes” as it is used in the Fair Labor Standards Act (FLSA), holding that time employees spend putting on and taking off protective gear is not compensable. Sandifer v. United States Steel Corp, 571 U. S.(2014). Section 203(o) of the FLSA provides that employees shall not be compensated for “any time spent in changing clothes or washing at the beginning or end of each workday which was excluded from measured working time … by the express terms of or by custom or practice under a bona fide collective-bargaining agreement applicable to the particular employee.” The FLSA does not define “clothes” or “changing clothes.” The question in this case is whether those terms apply to protective gear. Employees at United States Steel Corp (U.S. Steel) in Gary, Indiana brought a putative collective action under the FLSA claiming that they should have been paid for time spent changing into their work clothes – donning and doffing pieces of protective gear – and traveling back and forth to the locker room. The district court agreed in part, ruling that the FLSA requires compensation for time spent traveling to and from the locker room, but not for time spent changing clothes. The employees appealed, arguing that they were not changing into clothes but putting on “personal protective equipment.” The Seventh Circuit ruled against the employees on both claims, holding that (1) the employees’ gear was clothing and was therefore excluded under the FLSA, and (2) because time spent changing clothes was “de minimis” and not a “principal activity,” the time going to and from the locker room was not compensable. Applying statutory context, the Court determined it evident that the donning and doffing in this case qualifies as “changing clothes.” The Court acknowledged that three of the 12 items at issue in this case – safety glasses, earplugs, and a respirator – did not fit within the elaborated interpretation of “clothes,” but the Court found that a ruling separating different items would create enormous difficulties for federal judges. Rather than invoking the doctrine de minimis non curat lex (the law does not take account of trifles), courts should ask whether the period at issue can, on the whole, be fairly characterized as “time spent in changing clothes or washing.” If an employee devotes the vast majority of that time to putting on and off equipment or other non-clothing items, the entire period would not qualify as “time spent in changing clothes” under §203(o), even if some clothing items were also donned and doffed. But, if the vast majority of the time is spent in donning and doffing “clothes” as defined here, the entire period qualifies, and the time spent putting on and off other items need not be paid. In France, taking a person hostage or sequestering them against their will is a crime  punishable by up to 20 years in jail. It also happens to be a very effective weapon in French labor disputes. Since 2009, there have been 15 incidents of “boss-napping” and only one resulted in sanctions: 11 postal workers  who were fined $2,000 apiece for locking up their managers during a dispute over a change in how the mail is delivered. Most of the time, it’s the unions who win. That’s certainly the case in the most recent incident, involving a bitter struggle over job losses at a Goodyear tire plant  in Amiens. Earlier this month, union officials occupied the factory and sequestered the production manager and head of human resources for 30 hours. After the government intervened, the battle finally ended last week when the company agreed to triple the severance it had offered. Union leader Mickaël Wamen didn’t hide his triumph. “It was a grand and beautiful struggle,” he wrote in a blog post  on Jan. 24, announcing details of the settlement. This issue of the disproportionate power of French unions has become the biggest challenge confronting President François Hollande, now that he has sorted out his private life . In an affront to unions — and a move critics in his Socialist Party are calling a shift to the right — Hollande is advocating a new “responsibility pact,” under which companies would see their high social security costs reduced in exchange for creating jobs. Labor unions dislike the initiative because they believe it will mean cuts to social spending, which they oppose, and they don’t trust employers to create jobs in return. Even the more moderate unions that are prepared to accept some sort of a deal are insisting on a formal list of obligations that employers must fulfill — and are calling for a new state body to ensure that these obligations are actually met. So far it’s just an announced intention, and the details need to be worked out. Employers ’  groups  are sounding cautiously optimistic, but union reaction has ranged from skeptical to downright hostile. In a sign of their influence and central policy role, the pact needs not only the sign-off of the major unions, but also their active participation in creating it. Thierry Lapaon, who heads the CGT union that is both the largest and the most militant of the five officially recognized labor groups, described Hollande’s plans as “the negation of politics” and said the French president is “completely out of tune” with the expectation of ordinary people. Another union boss, Jean-Claude Mailly of Force Ouvrière (FO), has said  he sees the policy as “ineffective and even dangerous.” At the Jan. 27 meeting, in the office of Prime Minister Jean-Marc Ayrault, Mailly openly stated his opposition. It remains to be seen whether these opening salvos develop into outright opposition that kills Hollande’s initiative, or whether labor will — as it often does — end up compromising, for a price. A year ago three of the five union organizations signed off on a separate deal with employers that allows struggling companies to cut wages temporarily in exchange for safeguarding jobs. This sort of flexibility has been common in Germany for years, helping manufacturing to bounce back quickly after the 2007 financial crisis. But in France it took painstaking centralized negotiations, and even then the two most radical unions, the CGT and the FO, didn’t sign off on the measure. “Unions in France by definition are all about the preservation of what exists and opposition to any change,” says one of their fiercest critics, Agnès Verdier-Molinié, director of the IFRAP think tank. Given their relatively small size, how does organized French labor wield so much clout? The answer is largely historical. After the Second World War, Communist-inspired officials played a key role in re-establishing social and economic life, and put in place structures that have allowed unions to maintain their official roles despite a steep decline in membership. Since the immediate post-war years, the proportion of French workers who are union members has dropped by 80 percent, according to a study  by Insee, the national statistics office. Their power was brilliantly illustrated by Jean-Luc Godard in his 1972 movie “Tout va bien ,” about a strike in a sausage factory. The unions’ role today in negotiating unemployment insurance and other social issues ensures their continued financing, as they receive government funding from taxes and levies on top of dwindling union dues. Unions also benefit handsomely from regulations under which all companies with more than 50 workers must give a percentage of their payroll to an official “comité d’entreprise” or works council, which represents local workers in national negotiations. In the case of big nationalized enterprises such as the utility behemoth EDF, these employer-generated dues amount to more than $700 million per year. The difficulty of winning union support for far-reaching economic reforms has tripped many a previous government; organized labor’s main power base is in the public sector, including transportation workers. In the past, unions have effectively mobilized against such issues as changing the retirement system, at times bringing the nation literally to a standstill. But the unions are also Hollande’s natural constituency, and may be reluctant to mount too fierce an opposition to his latest initiative. As for Hollande, the last thing he now needs is a knock-down fight with labor, so he is likely to stick with his track record in office so far, and backtrack rather than provoke. Can the system be changed, or will French unions continue to hold a disproportionate amount of power relative to their membership? Nicolas Sarkozy, the former French president, tried to tweak the system slightly in 2008, giving unions different rights in company negotiations depending on whether more than 10 percent of the workforce of that company supported it. But so far, says Prof. Vranceanu, no government has dared to raise the bigger question of why organizations that represent so few people should have such a big say in national affairs. “It’s a taboo issue,” Vranceanu says. What it does, above all, is encourage labor militancy. And given the unions’ clout, not even the government wants to risk being taken hostage. The election may be over, but the important discussion about American jobs is not. One industry creating jobs, both directly and indirectly, are the natural gas exploration and production companies. Numerous studies now show that the safe and responsible development of clean, American natural gas is supporting hundreds of thousands of jobs across the nation. What’s even more noteworthy is that while natural gas production takes place in 32 states, jobs are being created in all 50 states. Thanks to our abundance of supply, a recent study from IHS Global Insight finds that natural gas development from shale and other emerging sources will support more than 1.5 million U.S. jobs by 2015, with that number expected to rise to 2.4 million by 2035. These noteworthy numbers not only account for jobs directly supported by natural gas, but also include indirect jobs, such as supply chain companies that provide materials and services to natural gas developers. Natural gas development also is helping expansion of many local businesses, such as restaurants, auto dealerships and other services, creating opportunities in the communities where we work. In addition, natural gas is creating jobs in industries that rely on affordable sources of energy to power production and assembly lines. America’s manufacturing sector once looked overseas in search of affordable sources of energy to keeps costs down. But our domestic abundance of natural gas is changing that dynamic and bringing these investments and jobs home. A PricewaterhouseCoopers study shows U.S. manufacturers could employ approximately one million more American workers by 2025 thanks to affordable, domestic natural gas. PricewaterhouseCoopers’ report highlights that companies such as Dow Chemical, Nucor and U.S. Steel are all expanding their U.S. operations, keeping jobs and salaries right here in America. What are these jobs paying? According to Bloomberg News, graduates from the South Dakota School of Mines and Technology are earning more out of college than graduates from Harvard. This is thanks to the overwhelming demand for workers in natural gas development. To help answer the call for qualified people to fill these jobs, many of ANGA’s member companies have put into place training programs and recruitment efforts to prepare more Americans to take on these good-paying jobs. Also useful to our economic recovery, employees are needed with everything from a high school diploma or trade school certification to folks with advanced science and engineering credentials. The industry also has placed special emphasis on recruiting returning veterans, knowing that these individuals boast a strong work ethic and many skill sets that translate well into the industry. As unemployment continues to be a topic of discussion among our elected officials at all levels, the safe and responsible development of natural gas has been a beacon of opportunity across the nation. By using more of this abundant, domestic resource, we can continue putting more people in our nation back to work, support a growing economy and support a cleaner environment. ABU DHABI — Kuwait has been bracing for a shutdown of its energy sector. Union leaders said they were preparing for a strike of Kuwait oil facilities. The union leaders said the 19,000 Kuwaiti workers would not tolerate a decision by the Gulf Cooperation Council state to slash their salaries, which average $19,400 per month. Over the last two weeks, the union has sought to reverse a decision by the state-owned Kuwait Petroleum Corp. to reduce salaries and benefits. The decision to cut wages, more than four times those of the rest of the public sector, has been supported by both the government and parliament. With the dearth of actual American steel mills, the paper industry exporting jobs and fast foodies apt to dump their nascent unionism when Congress ups the minimum wage during this we-need-the-votes election year, it shouldn’t be a surprise that the United Steelworkers union continues to expand its roots. And, with the constant haranguing about the rights of student athletes to sell their souvenirs, trade ‘em for tattoos or get paid for nonexistent jobs while they risk life and limb to play football for the glory of the alma mater, it’s no surprise that the players are pushing to tilt the table in their direction. The thing that is stunning is the picture of Kane Coulter, the Northwestern QB flanked by Leo Gerard. Mr. Gerard, who a few years ago was the local Steelworker’s friend, the guy who had their backs, who wanted to be sure those so-and-sos who owned the companies played fair. Who made sure the Brazilians weren’t the top pick for the purchase of Wheeling-Pitt, nor were the Indians. I wonder, given the expansion into paper and other places, including nuclear workers, public-sector workers, health care workers and more, if most of the people in the USW tower in Pittsburgh remember the names of the men in the Ohio Valley who were the union’s main focus just about six years ago. This is, after all, high profile union stuff, the kind of stuff that draws headlines. The nation long ago forgot about actual jobs that paid real wages in smoky places like Weirton and Steubenville and Gary, Ind. or Birmingham, Ala., or, God forbid, Obama’s high-tech hub of Youngstown. It can do nothing but raise the profile of the Steelworkers to be involved in a motherhood-and-apple-pie, everybody has a favorite team thing like college athletics. Bread and circuses. At least 27 Northwestern University football players needed to approve of being in a union. The union filed papers at the NLRB office in Chicago Tuesday and the announcement with Mr. Gerard and the players came later. Next comes an election. Having covered many union elections, I cannot imagine sitting in some hallway in a USW hall somewhere, watching for the door to the sealed union meeting chamber to open and some huge football player to come out and start talking tough about the school and the administration. Used to be when I was a kid that people who talked tough about their college and their administration were the kinds of folks who protested and burned down ROTC buildings and brought the Ohio National Guard to campus. It wasn’t the football team. Still, I’m not surprised. I’ve said it before and I’ll say it again. The time is long past to recognize that major college football is a farm system for the NFL, which avoids the expense of having to maintain its own farm system a la Major League Baseball or the NBA (which itself grabs players from the colleges). It’s time to admit that rah-rah, sportsmanship and the glory of the game dies somewhere in most high schools. By the time these kids get into major colleges, it’s not about most of them getting an education, the ostensible reason for athletic scholarships. It’s about the big bucks and recognition that football brings to the schools, which in turn might give enough prestige (though probably not more money) to recruit engineering students and accounting students and computer-science majors. It’s a virtual win-win for the USW, though. The nation will be talking about the United Steelworkers in a way that hasn’t been done since the last national steel strike. And Wheeling-Pitt will still be gone. And Weirton will still be a few remaining operations humming along among a pile of rusting hulks awaiting their removal. At least the USW will finally have some theme songs to use on the strike lines. Could give a whole new meaning to “Buckeye Battle Cry,” eh? “Don’t cross our picket line, we just want some equal pay, Fight! Fight! FIGHT! Beats my playing the Russian national anthem on my computer every morning while W-P closed up shop. Hotel Management Advisors Troy, LLC d/b/a Metropolitan Hotel Detroit-Troy (07-CA-098296; 360 NLRB No. 25) Troy, MI, January 23, 2014. The Board granted the General Counsel’s Motion for Default Judgment pursuant to the noncompliance provisions of a settlement agreement. The Board found that the Respondent failed to comply with the terms of the settlement agreement by refusing to fully remit backpay owed to its unit employee. The Board ordered the Respondent to reinstate the unit employee and to make the unit employee whole for any loss of earnings and other benefits suffered as a result of the Respondent’s unlawful conduct, and to expunge from its records the unlawful discharge and drug test of the unit employee. In addition, the Board ordered the Respondent to reimburse the unit employee in an amount equal to the differences in taxes owed upon receipt of a lump-sum backpay payment and taxes that would have been owed had there been no discrimination against him, and to submit the appropriate documentation to the Social Security Administration so that when backpay is paid, it will be allocated to the appropriate periods. Charge filed by Local 324, International Union of Operating Engineers (IUOE), AFL-CIO. Chairman Pearce and Members Johnson and Schiffer participated. United States Postal Service (24-CA-100739; 360 NLRB No. 31) Aguadilla, PR, January 24, 2014. The Board affirmed the Administrative Law Judge’s, rulings, findings, and conclusions and adopted the recommended Order as modified. The Respondent did not except to the judge’s findings and conclusions. Its exceptions were limited to the judge’s recommendation that a cease and desist Order be issued against the “Respondent, United States Postal Service, Puerto Rico….” The Respondent contended that the Order was overbroad. Although the judge limited the notice posting requirement to Respondent’s Aguadilla Post Office in Aguadilla, Puerto Rico, he inadvertently neglected to include “Aguadilla” before “Puerto Rico” in the introductory sentence of the Order. The Board modified the Order accordingly. The Board also modified the Order to conform to its standard remedial language and by removing a portion of the Order requiring that the Respondent furnish the Union with information relating to certain personnel records in light of the judge’s undisputed finding that the information had previously been provided. Administrative Law Judge Michael A. Rosas issued his decision on September 30, 2013. Charge filed by American Postal Workers Union, Local 1070, AFL-CIO. Chairman Pearce and Members Johnson and Schiffer participated. The Avenue Care and Rehabilitation Center (08-CA-094941; 360 NLRB No. 24) Warrensville Heights, OH, January 24, 2014. The Board panel, by unanimous agreement, adopted the Administrative Law Judge’s findings that the Respondent violated Section 8(a)(1) by promulgating an oral rule prohibiting employees from discussing union activities on its property and threatening them with discipline if the rule was violated, by interrogating an employee as to whether she passed out union cards, and by interrogating employees about the origin of their organizing efforts and the reasons why they wished to be represented by the union. Administrative Law Judge Mark Carissimi issued his decision on October 17, 2013. Charge filed by SEIU District 1199, WV/KY/OH, The Healthcare and Social Service Workers Union. Chairman Pearce and Members Hirozawa and Johnson participated. Polycon Industries, Inc. (13-RD-105718, 13-RM-107720) Merrillville, IN, January 23, 2014. The Board found that the Employer’s request for review of the Acting Regional Director’s decision to hold the petitions in abeyance pending resolution of an outstanding unfair labor practice charge raised no substantial issues warranting reversal of the Acting Regional Director’s determination. Accordingly, the Board affirmed the Acting Regional Director’s decision. Petitioners—an Individual and Polycon Industries, Inc. Union- Teamsters Local Union No. 142, a/w the International Brotherhood of Teamsters. Chairman Pearce and Members Miscimarra and Schiffer participated. Cook Inlet Tug & Barge, Inc. (19-RC-106498) Anchorage, AK, January 23, 2014. The Board granted review of the Employer’s request for review of the Regional Director’s Decision and Direction of Election with respect to whether the Employer’s captains are statutory supervisors based on their authority to assign and direct. The Board denied review in all other respects, including the Employer’s contention that the hearing officer violated the Administrative Procedure Act, the Board’s Rules and Regulations, and the ABA’s Model Code of Judicial Conduct by inviting the Petitioner’s legal team to view union memorabilia after the close of the hearing. Regarding the hearing officer’s conduct, the Board stated that the Employer failed to timely raise the issue; that the Administrative Procedure Act does not apply to representation hearings; that Section 102.126 of the Board’s Rules and Regulations does not apply to hearing officers; that the Board has not adopted and applied the Model Code of Judicial Conduct to hearing officers; that the Employer did not allege that the hearing officer failed to properly fulfill his role of guiding, directing, and controlling the presentation of evidence at the hearing; and that the hearing officer made no recommendations to the Regional Director as to the decision in the case. Regarding the supervisory issue, Member Miscimarra also would have granted review regarding whether the captains possess the authority to hire, discharge, promote, discipline, and adjust grievances within the meaning of Sec. 2(11) of the Act. Petitioner—Inlandboatmen’s Union of the Pacific. Chairman Pearce and Members Miscimarra and Schiffer participated. Caterpillar Logistics, Inc. (09-CA-110247) Clayton, OH, January 22, 2014. Order denying the petition filed by Caterpillar Logistics, Inc. to revoke a subpoena duces tecum. The Board found that the petition was lacking in merit, as the subpoena sought information relevant to the matter under investigation and described with sufficient particularity the evidence sought. Further, the Board held that the Employer failed to establish any other legal basis for revoking the subpoena. Charge filed by International Union, United Automobile Aerospace and Agricultural Implement Workers of America, AFL-CIO. Chairman Pearce and Members Johnson and Schiffer participated. FAA Beverly Hills, Inc. (31-CA-101492) Los Angeles, CA, January 22, 2014. The Board denied FAA Beverly Hills’s petition to revoke a subpoena duces tecum, finding that the subpoena sought relevant information and described the requested evidence with sufficient particularity. Further, the Board concluded that FAA Beverly Hills had not established any other basis for revoking the subpoena. Because it denied the petition on the merits, the Board did not reach the Region’s additional argument that the petition was untimely. Charges filed by General Teamsters, Airline, Aerospace and Allied Employees, Warehousemen, Drivers, Construction, Rock and Sand, Local 986. Chairman Pearce and Members Miscimarra and Schiffer participated. Belk, Inc. (15-CA-109057) January 23, 2014. Little Rock, AR, January 23, 2014. Order denying the petitions filed by Belk, Inc., to revoke subpoenas duces tecum and ad testificandum. The Board found that the petitions were lacking in merit, as the subpoenas sought information relevant to the matter under investigation and described with sufficient particularity the evidence sought. Further, the Board held that the Employer failed to establish any other legal basis for revoking the subpoenas. The Board, however, granted the Employer’s petition to revoke the subpoena duces tecum to the extent it encompassed medical records in the employee’s personnel file because such documents implicate significant privacy interests and there is no indication in this case that medical records are related to the matters under investigation. Charges filed by an individual. Chairman Pearce, Members Miscimarra and Schiffer participated. Woodman’s Food Market, Inc. (18-CA-112317) Janesville, WI, January 24, 2014. Order denying the petition filed by Woodman’s Food Market, Inc. to revoke a subpoena duces tecum. The Board found that the subpoena sought information relevant to the matter under investigation and described with sufficient particularity the evidence sought. Further, the Board held that the employer failed to establish any other legal basis for revoking the subpoena. Charge filed by United Food and Commercial Workers, Local 1473. Chairman Pearce and Members Johnson and Schiffer participated. Sheehy Enterprizes, Inc. (25-CA-030583) Indianapolis, IN, January 24, 2014. No exceptions having been filed to the Administrative Law Judge’s supplemental decision in this compliance proceeding, the Board ordered Sheehy Enterprizes, Inc. to pay the amounts of backpay due the discriminatees, as set forth in the Administrative Law Judge’s recommended Order. Charge filed by Laborers’ International Union of North America, State of Indiana District Council, a/w/ Laborers’ International Union of North America. Greenheck Fan Corporation (30-CA-087881) Schofield, WI, January 24, 2014. No exceptions having been filed to the Administrative Law Judge’s supplemental decision in this compliance proceeding, the Board ordered Greenheck Fan Corporation to pay the amount of backpay due the discriminatee, as set forth in the Administrative Law Judge’s recommended Order. Charge filed by an Individual. Voith Industrial Services, Inc. (09-CA-097589; JD-02-14) Louisville, KY. Administrative Law Judge Paul Bogas issued his decision on January 23, 2014. Charge filed by General Drivers, Warehouseman and Helpers, Local Union No. 89, affiliated with the International Brotherhood of Teamsters. The Modern Honolulu (20-CA-072776; JD(SF)-03-14) Honolulu, HI. Administrative Law Judge William L. Schmidt issued his decision on January 23, 2014. Charges filed by Unite Here! Local 5. Greenbrier VMC, LLC, d/b/a Greenbrier Valley Medical Center (10-CA-094646; JD(ATL)-02-14) Ronceverte, WV. Administrative Law Judge Robert A. Ringler issued his decision on January 23, 2014. Charge filed by National Nurses Organizing Committee, AFL-CIO (NNOC).